SUNNYVALE, Calif. /California Newswire/ — MLSListings Inc. today became the first multiple listing service (MLS) in California to offer New Homes Navigator – a first of its kind service that connects real estate professionals with new construction inventory for their clients' home search. In this time of extremely limited inventory in California, MLSListings brokers and agents can better help clients realize their dreams of homeownership beyond existing homes. Real estate professionals will be able to provide buyers with a comprehensive new home construction search tool, as well as an exciting mobile and interactive buying experience. "Data indicates that nearly 20 percent of home buyers are only looking for newly-built homes. Couple that with the 88 percent of shoppers who use a REALTOR to assist with their home purchase and it's a win-win situation – both for our subscribers and for consumers who rely on all of us for timely and accurate real estate information," said James Harrison, president and CEO, MLSListings. "MLSListings is proud to join New Homes Navigator to launch this market-forward solution to confront our current market challenges." "According to a recent California Association of REALTORS survey, the number one item buyers would change about working with an agent would be that they have better knowledge of the markets," said Jonathan Wilhelm, director, New Homes Navigator. New Homes Navigator gives agents and their buyers just that, with a comprehensive and easy to use new construction portal. "Since more than 50 percent of buyers are in the market for a new construction home, we're putting a powerful tool into the hands of MLSListings brokers and agents." 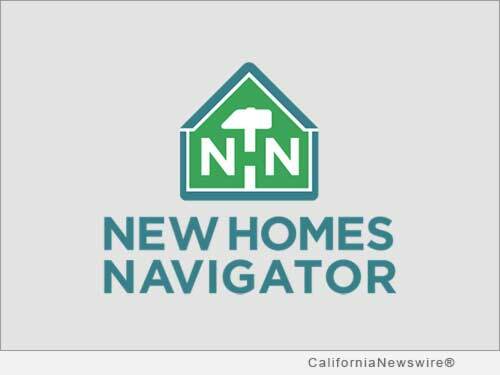 The New Homes Navigator database is continually updated with information on new home communities throughout California. New Homes Navigator provides real estate professionals with their own new construction search engine – a digital tool that can significantly improve communications with their clients about additional inventory not found on an MLS. Agents who know about more homes for sale during the home buying process can stay more connected to clients and help them find that perfect home faster. With more insight and visibility, agents can help ensure a more seamless home buying experience for their clients. For more information, visit: http://www.newhomesnavigator.com/. MLSListings Inc. is recognized as a premier multiple listing service in the nation. Based in the heart of Silicon Valley and specializing in Monterey, San Benito, Santa Clara, Santa Cruz, and San Mateo counties, MLSListings provides real estate professionals and consumers with accurate data that is updated every five minutes. Facilitating more than $70 billion in annual real estate activity, the MLSListings platform is the intersection of comprehensive real estate data and the transaction for the Northern California marketplace. Learn more at: http://www.mlslistings.com/.